Folks, car has been in for full respray and my plan was to keep original colour, I changed my mind and went for a colour change which meant the shop removed all the engine bay bits. So I had a box of bits and had to figure out how they all went back which I've done for the most part however I have the following two bits that I have no clue where they go? , must be engine area. 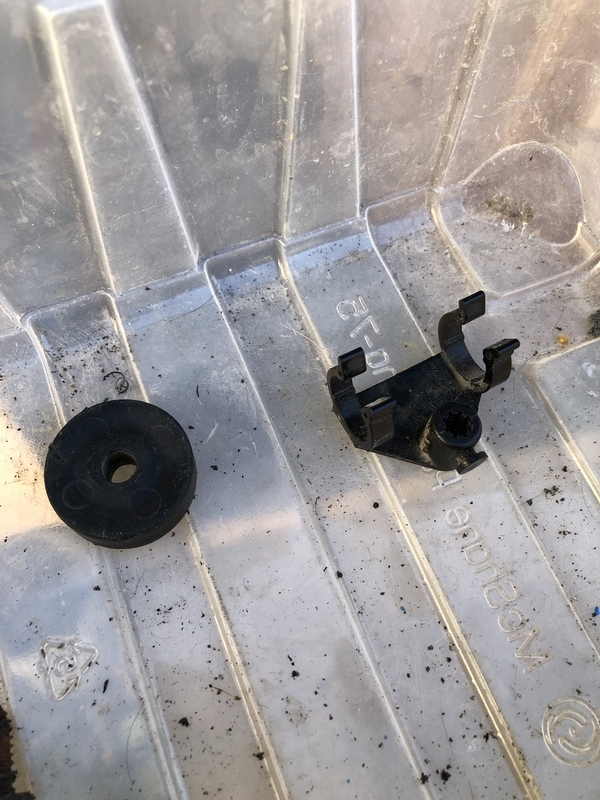 Something to do with throttle cable piece on left? Right piece fuel line bracket or cable holder?? I have something similar to the part on the right on the engine cover to the left holding a connector, part of the wing mechanism. Couldn't trouble you for a pic if you get a chance could I?